Amazon’s healthcare ambitions for Alexa took a big step forward this month with the announcement that its smart speaker can now handle health information compliantly. 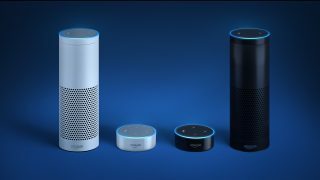 As a demonstration of this the company has partnered with a range of healthcare providers, payers, pharmacy benefit managers and digital health coaching companies to launch six new Alexa healthcare ‘skills’. Rachel Jiang, head of Alexa Health & Wellness, said: “Every day developers are inventing with voice to build helpful and convenient experiences for their customers. The capability allows Alexa to transmit and receive health information in a compliant manner under the data privacy and security provisions of the US Health Insurance Portability and Accountability Act (HIPAA). So far it’s only available as part of an invite-only programme, to which Amazon has brought on board pharmacy services organisation Express Scripts, health service company Cigna, Boston Children’s Hospital, healthcare networks Providence St. Joseph Health and Atrium Health, digital health company Livongo. Livongo members to query their last blood sugar reading, blood sugar measurement trends, and receive insights and personalised ‘health nudges’. Stephen Cassell, senior vice president of global brand and customer communications at Cigna, said: “With our industry-leading voice skills, we are meeting customers where they are – in their homes, in their cars – and making it simpler to create healthier habits and daily routines.